No need to comment, except both functioning plates do require pressing rather firmly. Main flush seems weaker than expected from the website description. 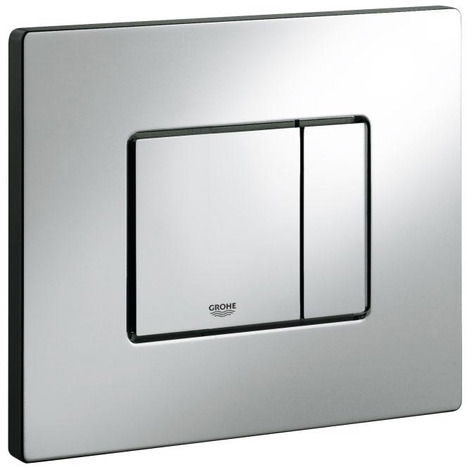 Very smart flush plate, nice big buttons, feel sure it will look great when project completed. The Dual flush and the Start-Stop functions ensure easy operation. You can choose between a large or small flush and the Start-Stop technology allows you to prematurely stop the flushing by pressing the button again. 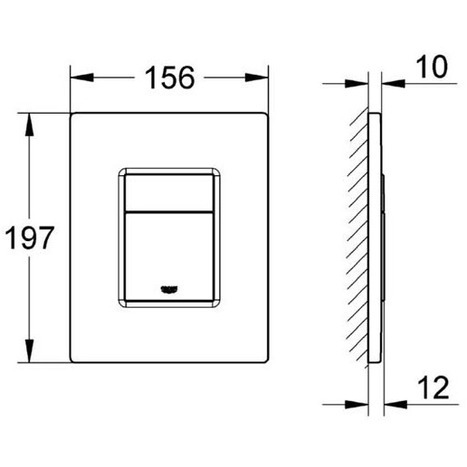 Please note: Flush plate can be installed vertically or horizontally. 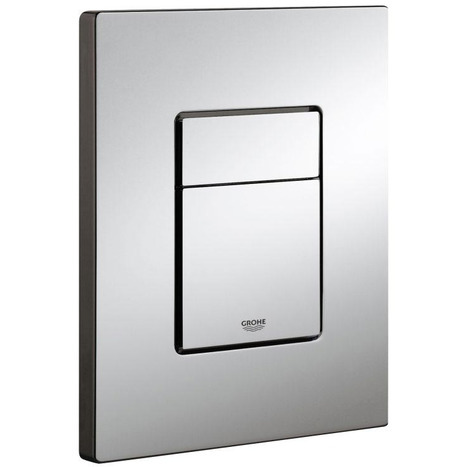 The Skate Cosmopolitan flush plate is made of ABS and finished in GROHE StarLight® easy clean chrome. Thanks to the Grohe EasyConnect, you can easily mount the plate both horizontally or vertically and the Dual flush and the Start-Stop functions ensure easy and carefree operation. With the Dual flush, you can choose between a large or small flush and the Start-Stop technology allows you to prematurely stop the flushing at will by pressing the button again.